Dr. 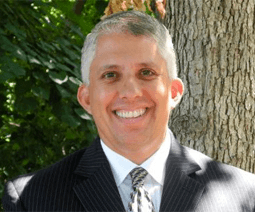 Rob Calderón has more than 17 years of experience working on and leading applied personnel research projects in both the public and private sector. His primary areas of expertise include: job and occupational analysis and competency modeling, workforce analysis/planning, the design and evaluation of personnel selection and classification systems, training needs analysis, development, implementation, and evaluation, survey design, and quantitative/qualitative data analysis. In his current role as a Managing Director, Rob leads a team of consultants across a variety of consulting engagements. He is currently conducting human capital projects with the Federal Deposit Insurance Corporation, Natural Resources Conservation Services, Security and Exchange Commission, and National Geospatial- Intelligence Agency. Prior to joining Federal Management Partners, Rob lead SRA’s Competency, Assessment, Performance, and Evaluation Account overseeing projects related to assessment/selection, competency modeling, workforce analysis, performance management, and training/program evaluation. He has also taught graduate level courses in research methods, statistics, and performance management as an Adjunct Professor at George Washington University. He completed his Ph.D. in Industrial/Organizational Psychology from The Ohio State University in 1998.